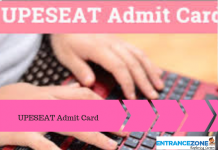 ISI 2019 Admit Card has been released on 23 April 2019. 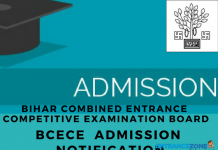 Indian Statistical Institute Entrance Examination 2019 is a national level examination. And, Indian Statistical Institute organised this examination. Also, ISI offers quality education to students and also works on statistics, social sciences, and natural sciences. 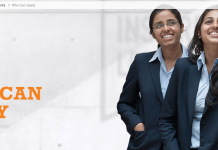 Further, ISI conducts Indian Statistical Institute Entrance Examination 2019 for admitting students to various Undergraduate, Postgraduate, Junior Research Fellowship offered. Moreover, the campuses of ISI are at Bangalore, Chennai, Delhi, and Tezpur. 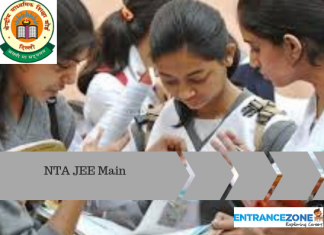 And, all these campuses offer admissions to students on the basis of the common Indian Statistical Institute Entrance Examination 2019. So, here is the detailed information about the Indian Statistical Institute Entrance Examination 2019. Latest Update: ISI 2019 Exam Schedule has been announced. ISI 2019 Application Form has been extended till 15 March 2019. Firstly, Indian Statistical Institute Entrance Examination 2019 Application Procedure has been started from 05 February 2019. And, the aspirants can fill the application form through online mode only. Then, the candidates have to fill all the required details carefully. Next, the applicants need to upload recent photograph and signature in given format. And, the application fee can be paid either through online mode or offline mode. Finally, all the applicants must take a print out of the application form and keep it safe for future reference. Firstly, the Indian Statistical Institute Entrance Examination 2019 Application Fee will be Rs. 700 for candidates under the Unreserved category or all candidates of Junior Research Fellowship (JRF) programs (irrespective of reserved categories). And, the applicants who are under Other Backward Classes / Scheduled Castes / Scheduled Tribes / Persons With Disability category need to pay just Rs. 350. Moreover, the application fee can be paid either through online mode (Net Banking / Credit Card / Debit Card) or through offline mode (Bank Challan at any branch of State Bank of India). M.S. (Q.E.) Qualification 3 Years Bachelor Degree in Mathematics, Economics, Statistics and Physics / B. Stat. from ISI / B.E. or B. Tech. M.S. (Q.M.S.) Qualification 3 Years Bachelor Degree in Mathematics / B.E. or B. Tech. For more information related to Indian Statistical Institute Entrance Examination 2019, visit the official website. Stay tuned with EntranceZone for more updates related to Indian Statistical Institute Entrance Examination 2019.